How can the Southmere Village Library offer a new state-of-the-art library and create a new focal point that meets the high ambitions of the Thamesmead redevelopment? 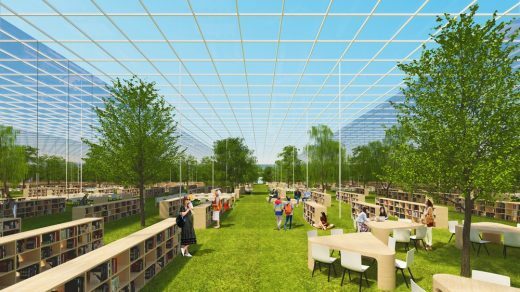 When considering the context of the proposed new library, one becomes fascinated by the great impact this place has had on the imagination of Londoners, and its influence in England’s greatest contribution to human culture – its literature. This hinterland, where South East London meets the marshes of Kent, and the River Thames meets the open seas under a vale of mist, has inspired some of the nation’s greatest artworks – the Thames Estuary is both a gateway to the world as captured by Turner and Canaletto, and a place of eerie mystery for HG Wells and famously where Charles Dickens’ Magwitch is imagined coming ashore. The opportunity to create a new library in this setting that is already blessed with such a rich literary heritage is a great one. Indeed, the challenge is to create a civic asset that can also capture something of this character, and stimulate the imagination of a new generation of Thamesmead residents. 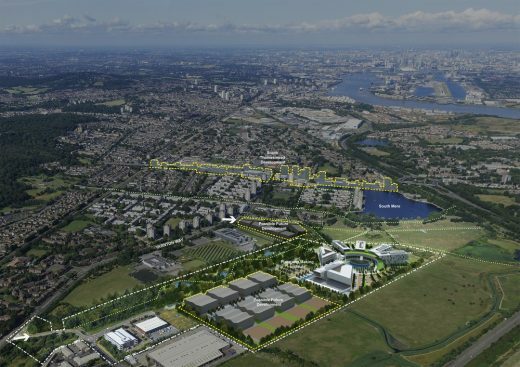 Similarly, we are fascinated by this area’s history as the Plumstead Marshes and its connection to the Greenwich Royal Naval College and the ancient shipping lanes of the Thames and London’s boat building. This great maritime tradition of the United Kingdom has enriched its storytelling culture with tales from across the world, and made London the most global of cities. 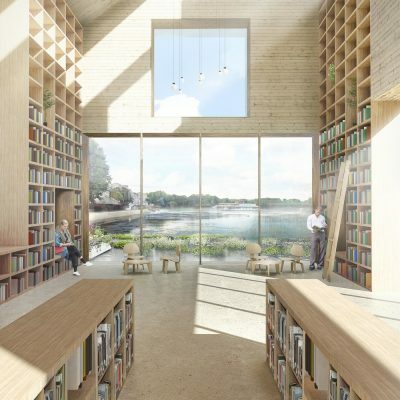 RRA propose a library that embraces and celebrates its waterside site. In a very London manner, as with the old brick factories of East London and the palaces of the upper Thames, we introduce the line of the water to the threshold of the building. By doing so we create an intimacy with the water’s surfaces, allowing for the enjoyment of a book to be accompanied by the trickle of water and the reflection of its ripples in the library’s interior. We create a physical intimacy with the waterways of London, capturing something of their ability to inspire the imagination of its citizens and connect them with the world beyond. “A strong, formal, stepped plan of equal ‘strips’ of building that expanded from the singular main entrance hall to a deeper plan at the water’s edge. 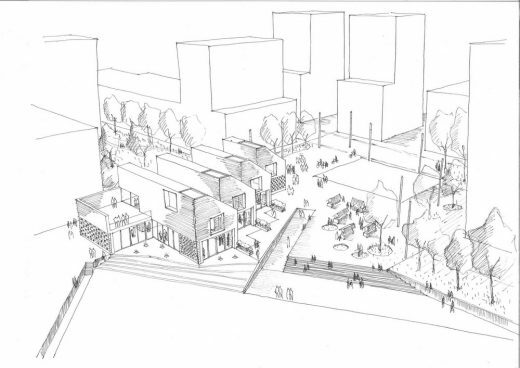 The stepped plan sought to maximise the footprint between the two squares, avoiding the culvert and allowing for an uninterrupted natural line-of-sight to extend from the civic square entrance, through the building across the lake beyond. Whilst the first floor simply repeated the ground plan, open light wells between the floors allowed the architectural experience of each ‘strip’ to be exploited by the continuous open pitched-roof ceilings. 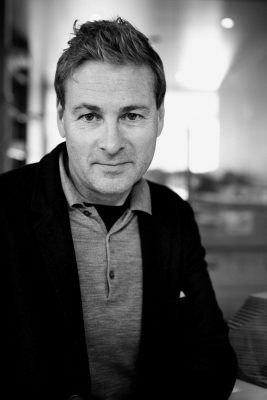 The discipline thus created was carried through to the external treatment to create a rigorous building form. Back of house functions were located on the south side of the building so that public facing activities could exploit framed views to the north. The line of water was brought to the threshold of the building in a series of shallow mirror pools that would engender the feeling of a library in a lake as well providing a defensive edge for the glazing. The children’s library area was located in a single storey extension at the south-eastern end of the building with a roof terrace above screened to protect views towards Staplehurst Court. 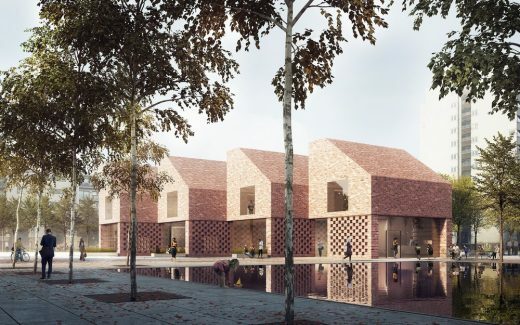 Shortlist announced for the RIBA Competition to design the new Southmere Library, the focal building within the ongoing regeneration of London’s Thamesmead. 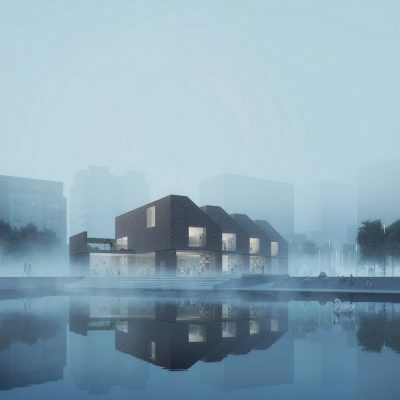 The international architectural contest for Thamesmead Library attracted entries from 58 design teams. The new £4.5 million civic building, will sit within a masterplan by architects Proctor & Matthews and Mecanoo.